Imagine if you couldn’t watch TV. Or enjoy anything on the Internet. Or you had to light a candle to study at night. If you had no way to drink a glass of cold water or take a hot shower. It seems like fiction right out of the 19th century, but it was the reality of much of our population in the 21st century. With the Luz para Todos (Light for All) program, created in 2003 by the Lula government when Dilma was minister of Mines and Energy, 15.2 million Brazilians have gained access to electric power. They axre now able to buy refrigerators, televisions, computers; they joined together in cooperatives and, thanks to easy credit, invested in feed grinders, freezers to conserve fish, irrigation systems. The Light for All program is a kind of time machine: it helps overcome the past and build the future. The Light for All program helped illuminate not only the country but also shaped the debate about the role of the State. Before the Lula government, it was up to the market to bring — or not — comfort and dignity to those who lived in darkness. And as the market always charges a lot, the Light in the Countryside program, launched by the PSDB in 1999, did not take off. 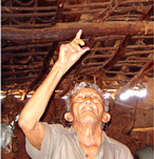 Unable to afford the high costs of the program, poor rural families remained without electricity. With the Lula government, the State assumed the role of inducing development, generating opportunities and promoting citizenship. • electrification projects in rural settlements, indigenous communities, quilombolas and other communities located in extractive reserves or electric power generation or transmission project areas, whose responsibility is not the respective concessionaire; and schools, health clinics and community water wells. 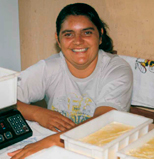 Want to know more how the Light for All program changes the lives of millions of Brazilians? An unexpected phenomenon: the cities benefited by the Light for All program began to attract back former residents who had migrated to other regions of the country, in search of better living conditions. It is estimated, through research conducted by the Ministry of Mines and Energy, that 5% of the families served by the program have returned to their birthplaces, which would total 156,716 households and more than 760,000 people. That is, the traditional migration flow — from rural areas to major centers — was reversed. The light that brings development, citizenship and opportunities also brings the children back home. "Because we understand that the poor who are there has the same rights as we do, we have an obligation to bring [light], even if it's for free, whatever the cost, to these people. That's the difference of what is happening in Brazil"
"You can’t have such a program without it being free. You can’t do it. Do you know why they never did it? Because they wanted to charge for it. Charge the poorest. How can you charge someone who has nothing, not even light? So it was that was at the time of the FHC government, they wanted to charge for it. Light for All is a program that is very strong, because it took people out of the darkness of the night and allowed people to do several things at night. Study, children can now study. The woman can sew. It changes lives." "Before the arrival of the electricity, I produced 3 to 4 kg of cheese, because I had no way to conserve it. Now, with electricity in my house, I've been able to produce 60 kg per week, and my dream is to create my own factory, registered, to have more equipment, to sell in the supermarket and employ more people." "It is a blessing from God for the lives of many Brazilians like me. With electricity, everything gets better. Now the electric pump brings water to the cistern, we no longer need buckets to fetch it at the stream, the water is already inside the house. Moreover, I now have a TV and radio, everything done through electricity." 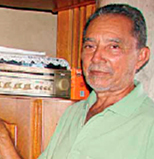 Raimundo Felipe de Sousa, Pombal - PB"
"The electricity is very good and has changed our lives. Now I have a refrigerator, a TV and a fan and with all of that, I pay just a little light bill. When the bill arrives, I already have a little money saved for it." "I was working in the dark and hurt my fingers. Everyone said they did not believe that electricity would arrive here. The more people talked to me, the more I said it was coming, that I had hope. And it came, indeed." "Nowadays, we have an industrialized flour mill that has given many jobs to the people ... and we have sold quite a lot. Which is very good for the entire community. Electricity came at the right time." "Here, being without electricity was horrible. Complete darkness ... On the day they lit the electric lamps, it was a party. Our life has improved 100% in everything ... Today, we have things we didn’t have before. I have a refrigerator, so the food does not spoil. Cold water. So we believe that the light is for all, for sure."